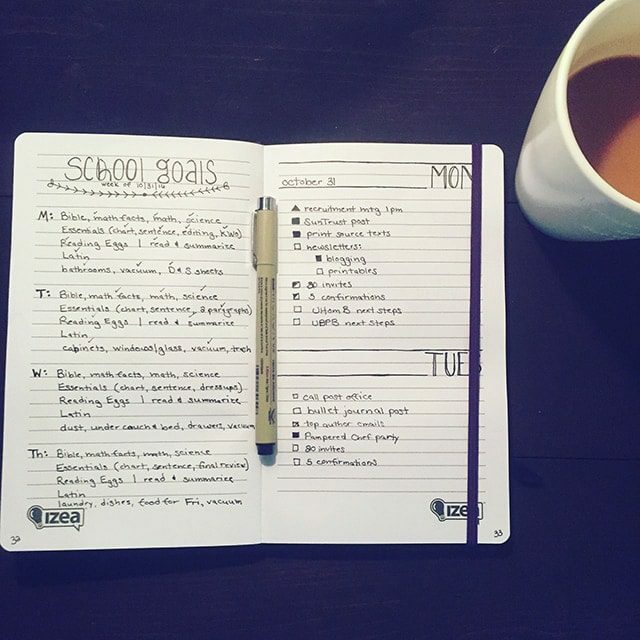 In 2015, I began bullet journaling. 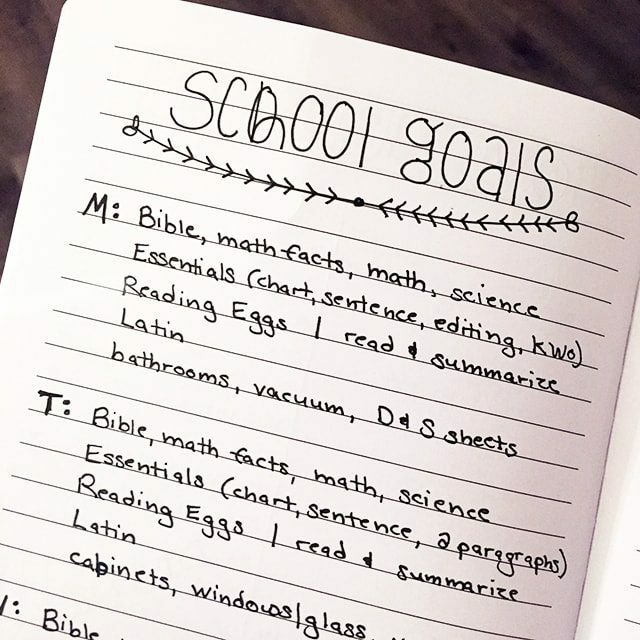 I didn’t use my BuJo for daily or weekly plans, but I kept all of my vision- & goal-setting exercises, Bible study notes, and quotes to remember in one well-loved journal with an index for easy reference. That year I also fell in love with doodling and hand-lettering, but for some reason I never really combined the two. 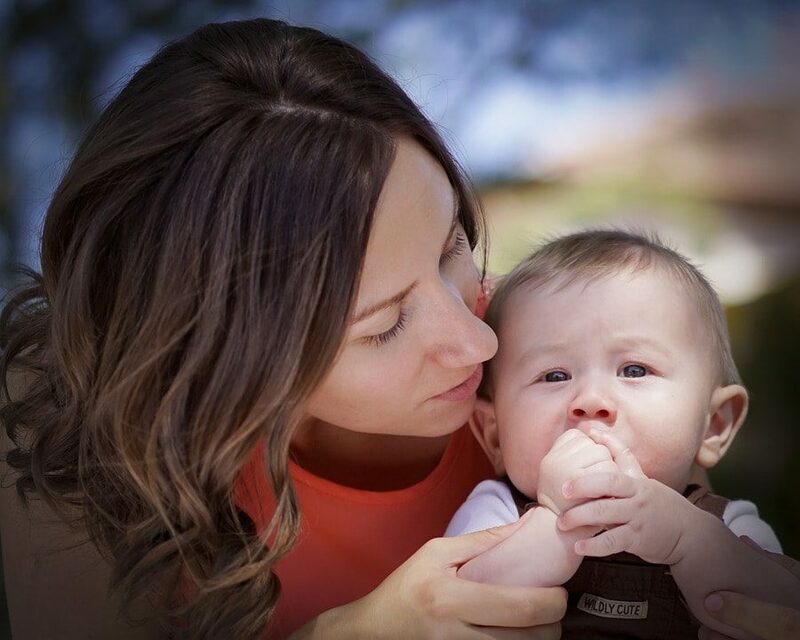 And then our youngest was born wanting to be held (and not snuggled, but held in very specific positions that required many muscles and all of your attention), and I had to set aside both because I simply didn’t have a free hand to do either. Over the past month, as his first birthday quickly approaches, he’s become much more independent, and so I decided to try my hand at bullet journaling once again, this time incorporating my brain dumps and to-do lists as well so I only have to keep track of one notebook. Although I know plenty of people who use their bullet journal as a tool only and don’t worry about pretty pages and decorations, I found myself decorating my pages and playing with different layouts just for the chance to practice doodling or hand-lettering. And I fell hard for bullet journaling as a creative activity. Because I’m a recovering perfectionist, the temptation to fret over mistakes is always there. But I choose not to, which has been a good learning experience all by itself! 1. It’s small enough to cart around. Although I opted for the traditional size journal (rather than a mini one like Tsh), it’s still small enough to carry from room to room, to slide into a purse or diaper bag, and even to take grocery shopping. Not only does that let me keep things like my calendar, to-do list, and shopping list handy, but it also means I can practice a new font, banner, or border in those moments when I’m just sitting and waiting. 2. It allows creativity…or not. 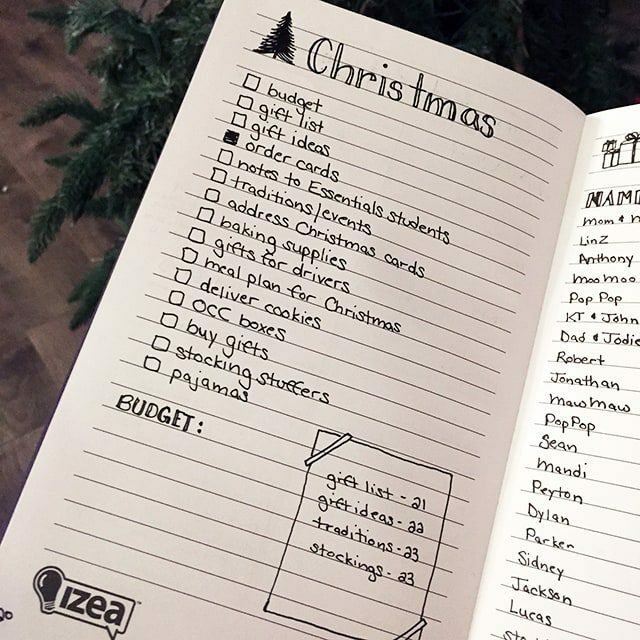 There are tons of people who simply write lists in their bullet journal, and there are tons of people who have full-color, beautifully decorated pages. I fall somewhere in the middle, preferring a single black pen and simple layouts but still embracing creative touches here and there. But the cool part is you don’t have to decide what type of bullet journaler you are. On busy days, I can simply make a list without any header at all. And if I ever get the urge to play with color, I can. 3. It’s not tied to one particular system. As someone who regular changes planning systems because they lose their effectiveness as I develop “planner blindness,” the bullet journal is a great way to be able to tailor my system to my current needs and preferences without having to buy new supplies or set the old one aside. I can change my daily or weekly format with nothing more than the turn of the page, which is really empowering! 4. It’s humbling and a good reminder to let go of perfectionism. I often wonder if the artists who create the beautiful pages you see on Pinterest ever mess up. 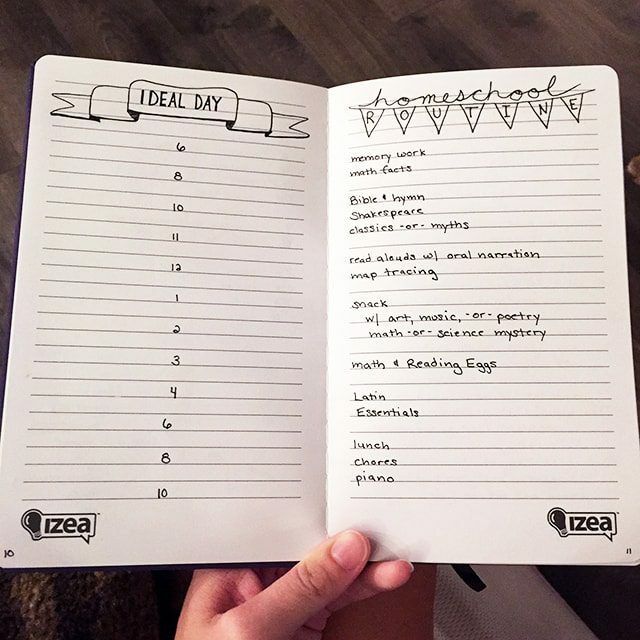 Do they have messy pages in their journal and only show the perfect ones, or are they just that good? I don’t spend a lot of time sketching my pages in pencil before inking them, which means any mistake I do make is permanent. And I’ll be honest, the first time I screwed something up, I wished for a system that would allow me to rip out the page and start over. But the sun set and rose on schedule, and when I realized it really wasn’t the end of the world, it released me to try new things, make mistakes, and still see the beauty on the pages anyway! 5. Each page offers a fresh start. And finally, each page really is a fresh start. When I make my list for the day and turn a new page, I’m literally putting the mistakes from the day behind me. I can choose a new layout (although I’m pretty happy with the half-page daily layout I’ve been using), try a new header or font, or reprioritize my to-dos. That’s a pretty good metaphor for life! This is what I love about my bullet journal, too! 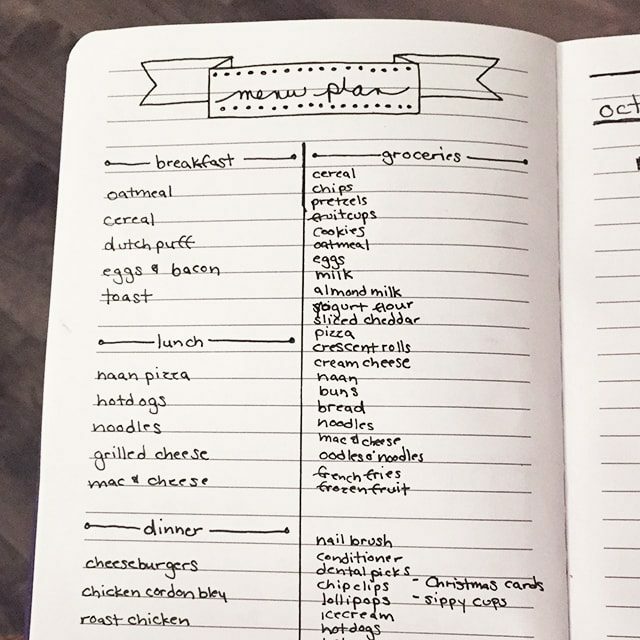 I’m only a couple months in and like you, just use a black pen and spiral grid journal. Most of my headings look the same, but I doodle every once and a while…and enjoy it! Mostly, I love the freedom of not being locked into anything. 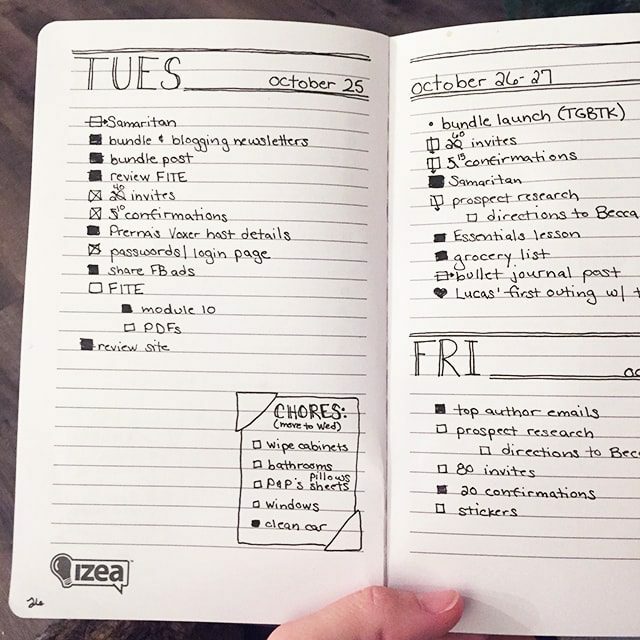 Thanks for giving us a glimpse inside your bullet journal!